It’s finally spring, which means it is time for the local Chestermere Fine Art Guild Annual Show & Sale. Join the Guild at the Chestermere Recreation Centre on Saturday, May 12 between 10 a.m. – 4 p.m. to enjoy their newest display of work featuring member Marie Lees and guest potter Michelle Winters, back by popular demand. Marie Lees is a recent Alberta resident enjoying a few years exploring western Canada. Growing up in rural Southern Ontario on a hobby farm, nature and wildlife were part of daily life. She has always been drawn to animals, gardens and nature; especially birds, butterflies and dogs. 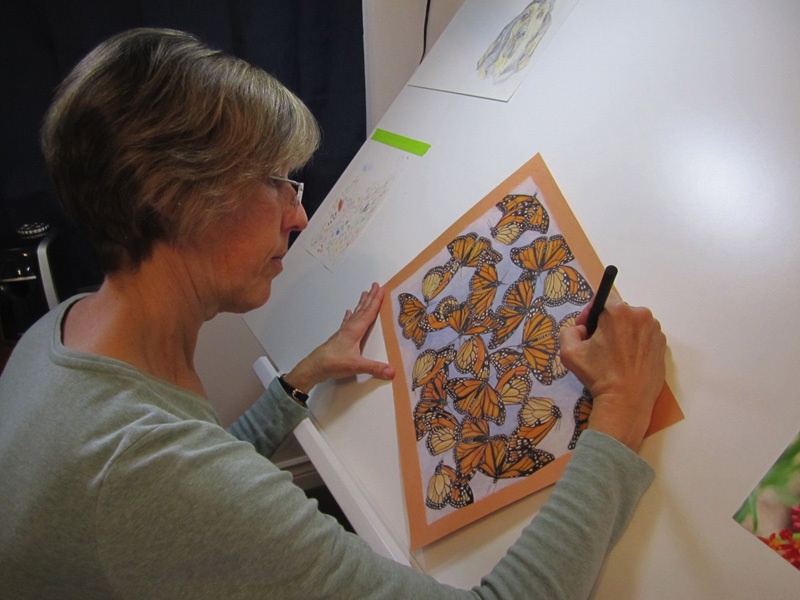 Marie is primarily self-taught and has drawn since childhood. Her medium of choice is mainly Coloured Pencil which is becoming a more popular and recognized medium with improvements in artist quality pigments. The control of pencil allows her to depict the detail in her subjects while being a portable, clean, non-toxic material to work with. 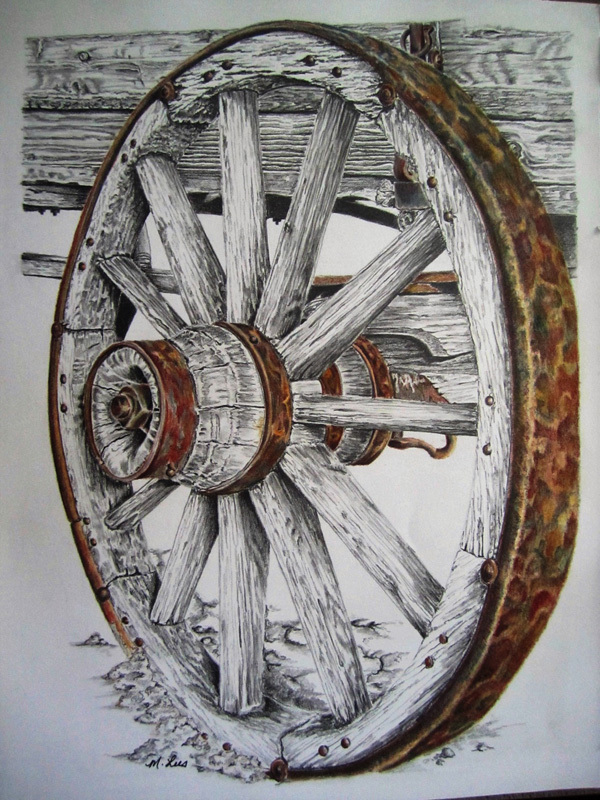 She also uses watercolour pencil, watercolour paint and graphite. Observing wildlife, nature and the beauty of changing seasons has always been a great influence in her life and art. Her recent move to Alberta has fulfilled a lifelong wish to experience the western mountains of Canada and its flora and fauna. She will continue to learn and explore new materials and mediums but her first love will always be drawing realistic Canadian nature and wildlife. Marie is a past Secretary of the Guild and currently enjoys Thursday art afternoons with the Guild members when she is not working at a local dog kennel or travelling. Come meet Marie and other members at the show, including guest potter Michelle Winters. Don’t miss the chance to enter the draw for a door-prize just in time for Mother’s Day! This annual event is a great way to enjoy local artisans with family and friends. See you at the show.